Giving back is a many splendored thing. Corporate Social Responsibility is a mission beyond charity. It is a proactive exercise on the part of corporates to seek out ways and means of discharging their debt and duty to the society. Mr N. R. Krishnan was a member of the Indian Administrative Service and a Secretary to the Government of India. 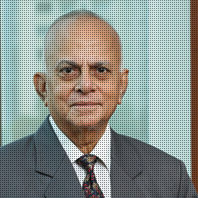 A specialist in energy and sustainable development, Krishnan has been associated with introduction of legislation on matters relating to these subjects and in framing government policy. At the international level, he has had a longstanding association with the United Nations Environment Programme and was Chairman of UN bodies connected with the Montreal Protocol and sustainable forest management. Krishnan was associated with the National Law School University in Bengaluru and with the Madras School of Economics in Chennai in introducing Environmental Law and Environmental Economics in their curricula. Holder of a Master’s Degree in Chemistry from the University of Delhi and a lecturer in St. Stephen’s College, Delhi, Krishnan was a Visiting Fellow at Queen Elizabeth House, Oxford and an ILO Fellow at the Harvard Institute of International Development. A regular contributor of articles to national journals on environment, climate change and issues in public policy, Krishnan is on the jury of India’s premier industry associations to recognize India’s best corporate houses for their record in sustainable development. He also serves as a Director on the boards of many companies. 28 years of experience in information technology, journalism and academia.